UltraDefrag – функциональная программа для дефрагментации жестких дисков компьютера. UltraDefrag позволяет наглядно, с помощью карты кластеров, показывать процесс дефрагментации. Отдельно показывает названия фрагментированных файлов. Будет полезна как обычным пользователям, так и продвинутым, а также программистам. Имеется консольный режим, позволяющий запускать программу по расписанию. UltraDefrag может генерировать отчеты в формате HTML. 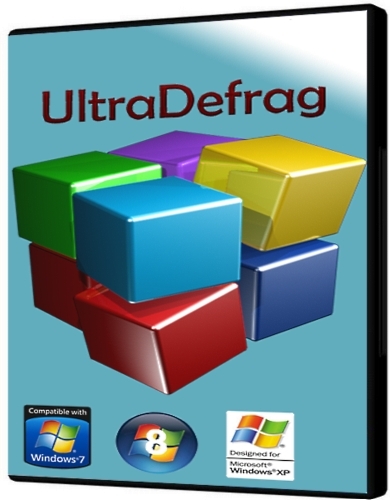 UltraDefrag is a powerful disk defragmentation tool for Windows. It is the first open source defragmenter with full support of system locked files defragmentation. Actually all files including registry hives and paging file can be processed by UltraDefrag during the Windows boot process. UltraDefrag is very fast, because the defragmenting is done by the kernel-mode driver. · This feature provides an ability to defragment any system files. Including page file, registry hives, hiberfil.sys file and many other files locked by the system or other applications when windows is fully running. · We all know how long a defragment or a compact job can take. All of us most of the time leave the PC unattended while it does its job. With this option you can set UD to shutdown the PC after a job has been completed. This saves electricity and avoids many hazards. · The optimizer rearranges all data and places them to the beginning of the drive. In many instances we have found that the system is more stable and performs a lot better under load if data is placed at the beginning of the drive. · After UltraDefrag installation you have the ability to select any file or folder and deframent them. This option is mostly useful if you have recently installed an application or a game and would like to have them defragmented immediately for maximum performance. · UltraDefrag allows you to customize its graphical user interface such as Font and its sizes. It adapts to the windows theme you are using. Unlike Vista and other versions of Windows Defrag, UD shows a graphical representation of the hard drive like it did on older generation Windows. · Select precise times when you want UltraDefrag to run using the scheduler and perform defragmentation tasks.